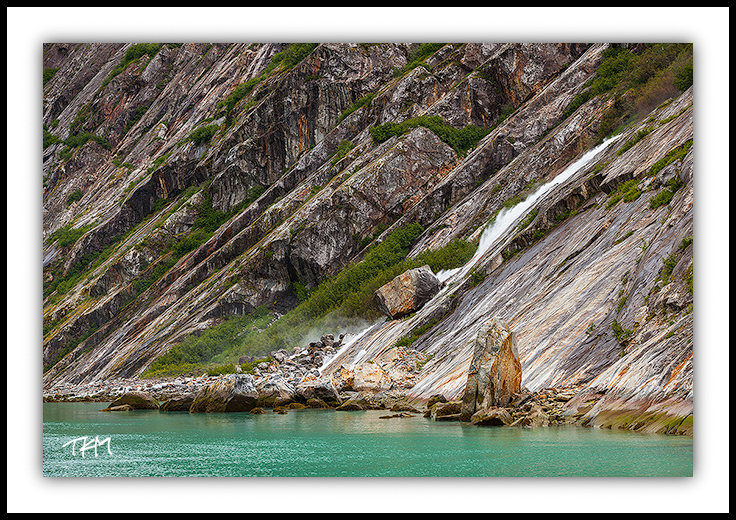 I recently returned from a week-long trip into the Tracy Arm – Ford’s Terror Wilderness. The trip was part of a class I am taking through Discovery Southeast, and as it’s title was “Glaciers and Climate Change in Tracy Arm”, I was somewhat unprepared for that fact that we would really spend most of our time in Endicott Arm and that the concept of “wilderness” would be the primary theme of the course. I may have been surprised, but I was in no ways disappointed. The experience, from the food to the company of my fellow participants, far exceeded my expectations. I wasn’t really trying to be eloquent or profound when I wrote my definition. I was primarily reflecting on feelings I had enjoyed in the previous weeks while hiking on the ridges around Juneau. There was something inexplicably wonderful about traveling over a rise on the ridge and suddenly leaving all views of the airport, the Salmon Creek Dam, or any other man-made structure behind. Kayaking in Endicott Arm was not a brief forray into views of unblemished natural landscapes. It was full immersion, where days could go by without seeing a boat…let alone a building.